A round front 36" x 36" shower with integrated footrest. Built-in shelves with bars create the perfect storage for bottles. Choose one or two piece shower. 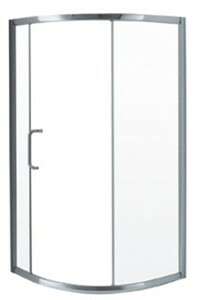 Two shower door options and the choice of clear or textured glass. 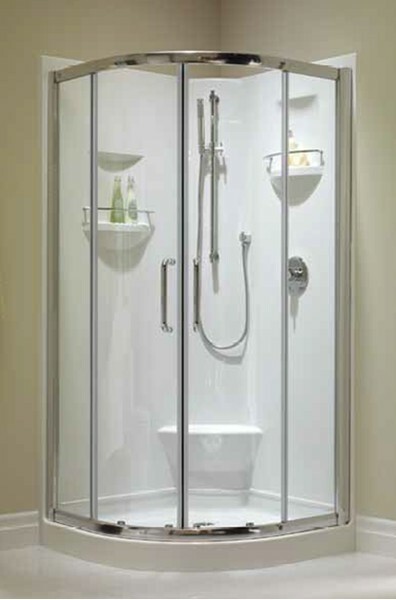 Standard shower colors of white, biscuit or bone. 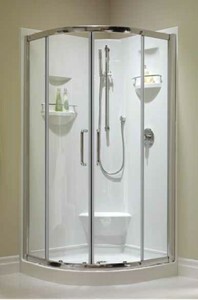 Shower Base with walls: 36 1/4" x 36 1/4" x 77 3/4"
Belgrade Door is pictured above. Shower faucets not included - no holes will be drilled by Neptune. Your installer can place faucets.